In order to meet the teaching needs of colleges and universities, vocational schools, automobile driving training, and auto repair majors, it is more clear to understand the mechanical structure and functions of the car, so that students can quickly grasp the structure and principle of the car and improve the students' understanding of the car. The vehicle anatomy display car is the preferred teaching aid. 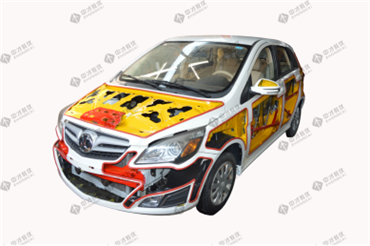 Our new energy vehicle anatomy display car is to modify a normal electric car that can run normally, retain all the functions of the original car, dissect and cut off some decorative covers, which is more conducive to teaching. 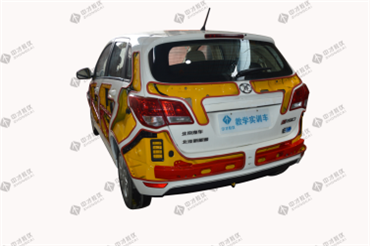 It is suitable for the teaching needs of pure electric power vehicle theory and maintenance training. 1. The whole vehicle has a complete structure, and all control systems, sensors and actuators are complete and can operate normally; it can run normally. 3. Under the premise of not affecting the normal use of the original car, the sub-system will produce the "teaching teaching board" of the car-related system. The “Teaching Teachboard” is connected to the whole vehicle through a special wiring harness to ensure that the vehicle is fully functional after the connection is disconnected, and all functions of the original car are maintained. 4. The vehicle dynamic and static signal parameters (such as energy monitor screen, vehicle speed, gear position display and various working condition indicators, etc.) can be displayed through the original vehicle meter. 5. 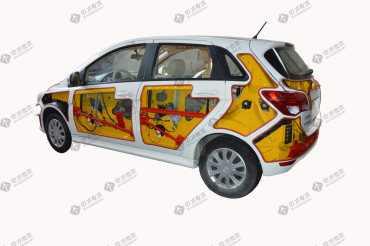 Dissection is mainly based on anatomical sheet metal and interior parts, which can not damage the body strength of the whole vehicle. It must ensure that the driving safety of the whole vehicle is the same as that of the undissected vehicle.